I love holiday dressing more than any other kind because you have an automatic no-holds-barred excuse to get decked out in your festive best. What else are you going to ring in a whole new year wearing? 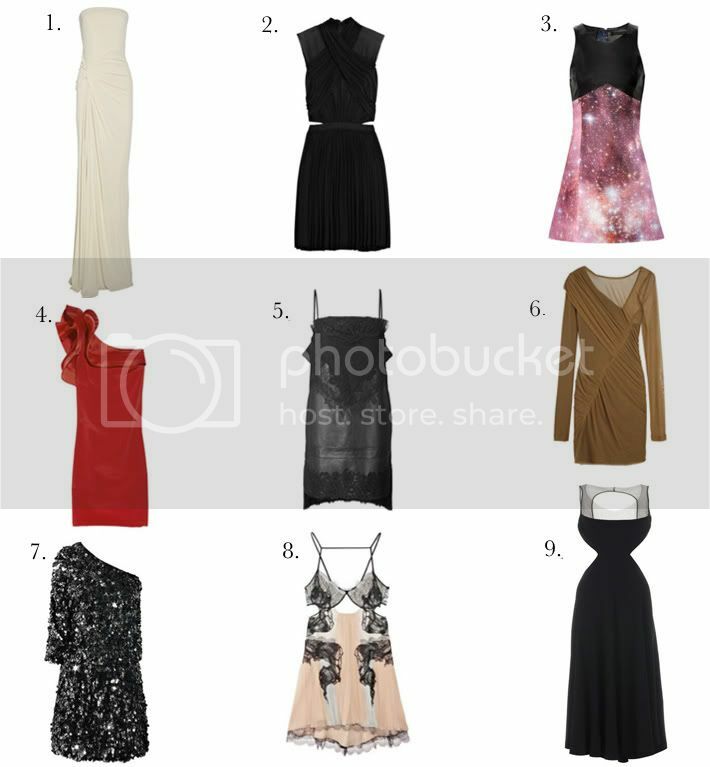 That means picking out pieces that are really special, whether it's because of some exquisite lace detail (ahem, Givenchy #5), a bright lipstick red shade you would normally shy away from (Marchesa #4), a heavy cluster of shimmering black sequins (Tibi #7), or an all-out sparkly galaxy print (oh, Christopher Kane #3). Here are some of my current favorites. What are you wearing for the holidays? Man, I am craving for that Alexander Wang dress! I think the Notte by Marchesa dress is incredible for the holidays, it's so atypical. I really like your picks!